Howdy yall, welcome to The Perilous Climb. I wrote up this campaign because I was tired of looking at this great map Helicoly had made and not having a campaign to run on it. It is a pretty straight forward campaign, great for new GMs or new players as it is mostly combat with a few roleplay areas sprinkled through. 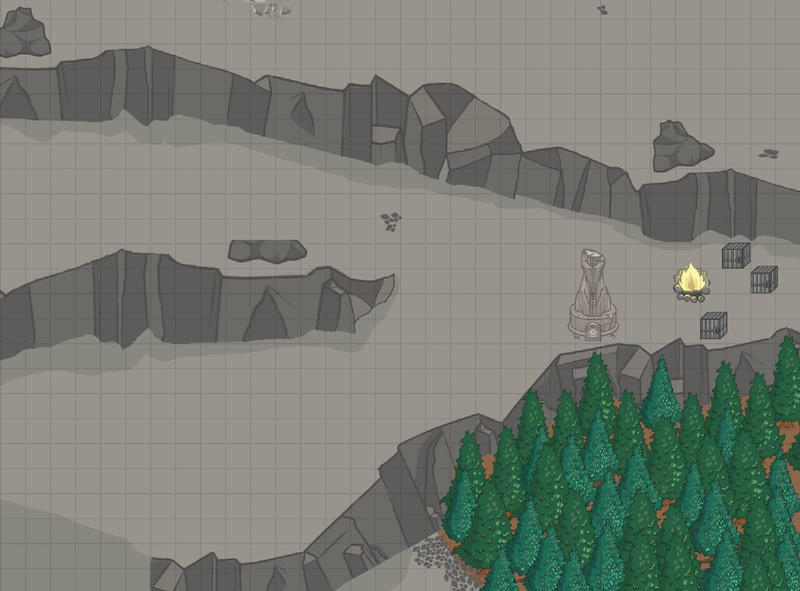 This is a straightforward linear campaign where the party climbs a mountain and fights stuff that tries to stop them from climbing the mountain. It has a focus on combat with multiple foes as opposed to one big boss. It is a good introductory campaign as it is very straight forward with not too many hidden mechanics. The party plays as a group of "adventurers" who totally aren't mercinaries. All races are allowed, so go ahead and just deal out some random races if you want. Classes have a minor restriction in that the Death Knight, Fleshweaver, Cabalist, and Bonedancer classes are not available. You can still randomly deal out classes, but just be aware you may need to remove those classes if they come up. There have been strange rumblings coming from Mount Forfalig. The mountain itself used to be a gathering site for a group of powerful sorcerers, but has since been abandoned when they all died trying to climb The Tower of Ultimate Wizardry. But now it seems the mountains stirs once more. A group of adventures has been hired by the town of Riveridge to see what is going on and to make sure any group has proper permits for any rituals they may be planning. 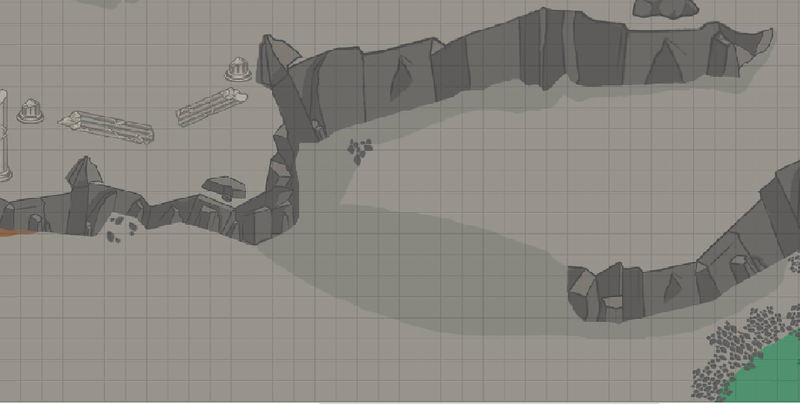 The first encounter of the campaign takes place at the very base of the mountain just before the "heroes" begin their climb. Right at the base of the mountain, two incredibly large crystals are growing. Around these two crystals are a swarm of gemlings. These gemlings will agro if the party gets within 3 spaces of them or the crystals. Once combat has started, awaken the Gemlords. Flavorful minions, really just used as cannon fodder for the Gemlords. Can ram Targets for 5 damage. Remember that Gemlings are not killed by the Gem Laser spell. A fully grown gemling that have grown into Gemlord by actively being fed magic by it's Dwarven masters up the hill. The Gemlord will fight until the very last breath. A fully grown mutated gemling whose mutation was fostered by it's Dwarven masters. Used as guard dog to prevent any wild animals from reaching their poaching camp. As the adventures reach the end of the first incline a voice calls to them, commanding them to halt. At the end of the trail are two dwarves, the main point of interest being the dwarf nearer the party with replaced eye and the mechanical arm. 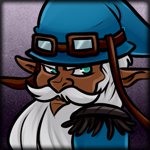 The mecha-dwarf yells that the adventurers need to back off, they claimed this turf as poaching groups fair and square. They even planted guard gemlings to keep out the riff raff. The party can talk their way out of this encounter, but the dwarves are very suspicious and rather rude. If the party reveals they killed the gemlings, wrastling will commence with Bristle taking the first shot. Bristle Ambermantle is a former member of the Guild of Explorers. He was quite the rising star, impressing many with his bowmanship and his ability to sniff out treasure like nobody's business. But age eventually started catching up with Bristle and the next generation quickly came to usurp him. A young Kobold by the name of Karl Landers took his spot as top archer in the Guild in a contest to see who would get the rare treasure found in a dungeon the Guild had cleared out. 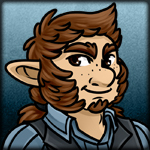 Old and bitter, Bristle has turned his back on the Guild and has formed his own band of poachers, selling rare and exotic meats and animals at exorbitant prices to whoever he can. This encounter has three Dwarven Warriors. The group first recruited by Bristle, these Warriors know their job. Tank for Bristle and disrupt and charges at him. They have been with him through too many tough times to be anything less than completely loyal. This encounter also has two Dwarven Swashbuckers. Unlike the Warriors, these swashbuckers are strictly with Bristle for the sheer amount of profit that his scheme is brining in. If offered a better deal, a large bribe, or are in real danger of being killed, they may exit combat. However, if it's best for the campaign to have them fight to the last, do so. Once the party has defeated or run off the Dwarven Poachers they may loot their camp and check on the cages. This is a good time to have a prisoner character freed if one of your players has died. Have the party free them and in gratitude have them offer to join them on their journey. Any other cages have horribly mistreated animals, malnourished blood snakes packed tightly into a cage, a wounded groundbold pup, ect. The players may take these animals if they have a free ability inventory space but they are not combat companions. If you have prepared Legendaries, after the fight while looting would be the time to roll for them, Otherwise, provide some random treasures for the party to choose from. Spawn 8-10 maggots every turn for 4 turns. If the party decides to hold their ground and fight against the maggot swarm, after 4 rounds bring out the Queen Maggot. Large worm like creatures that move like inchworms, throwing their themselves forward and then contracting in crawl along any surface. Basic Attack for 5 that inflicts Poison on high rolls. An enormous Maggot covered in a hard carapace. The broodmother of the maggots is more intelligent than it's brood but is still only an animal. It's focus will be to poison all the players and then cast Venoshock for massive damage. Basic Attacks deal 10 damage and inflict Poison on High Rolls. If the party stands their ground and manages to defeat the maggot swarm and their queen and you have prepared Legendaries give two Legendary rolls each. Otherwise give the party a large selection of treasures to pick through. The party has finally has finally reached the summit of Mount Forfalig. 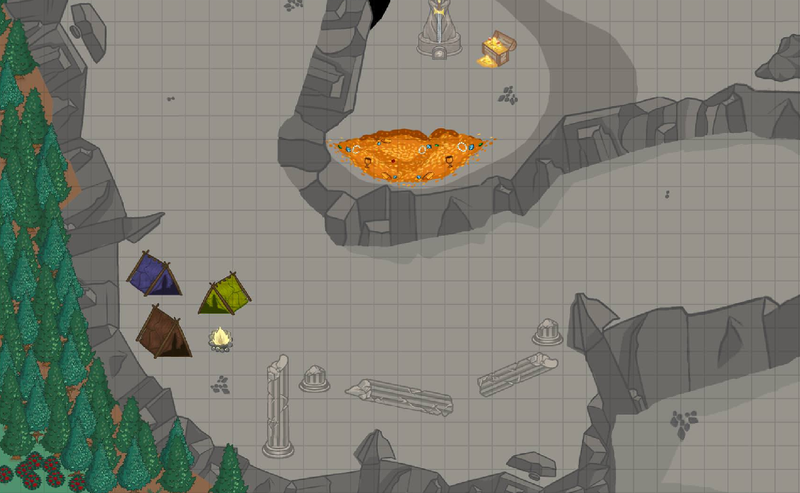 The ruins of the once powerful Sorcerer's Guild lay before them, crumbling pillars, ruined statues, and a plinth with an enormous egg with three figures hanging around it. Wait, one of those things is not like the other. The party see a group of two elves and a dwarf examining what appears to be a dragon egg on a plinth. If the players approach the group will be surprised but will not immediately become hostile. Both of the elves are friendly, but extremely odd. The dwarf is very standoffish and rather rude. Have the female elf try to keep that party's attention on her while the dwarf sneakily moves around the party. Have her talk about the irregularities of finding a single dragon egg alone on the top of a mountain. Mention the glyphs on the plinth that seem to be warning and detection spells. If the players spot the dwarf moving, immediately have all three characters reveal their agelessness and attack. If the players don't spot the dwarf, same thing but the enemies get the jump on them, gaining a bonus action before the party can prepare themselves. NOTE: The plinth the egg is placed on is covered in Draconic runes that contain the Draconic words for "Alarm", "Teleportation", "Absorption", and "Death". If either a player on an NPC targets the Egg with a hostile action or an action that would damage the egg force that Target to Brutal Death roll as the Death Rune lights up. A gout of dragon fire from the plinth will incinerate them if they fail. 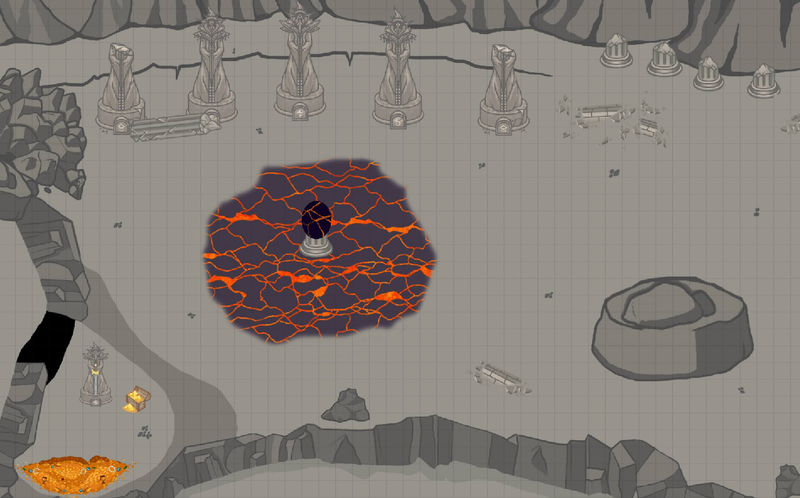 If they use a non-damaging ability on the egg, teleport them into the treasure cave where they are trapped by a force barrier. If a Target casts fire magic on the egg, have the egg absorb it and glow brighter red. Erdrig did not fall into darkness, he strode into it with open arms. A powerfully built Dwarf in life, Erdrig is a menace in his Undeath. A powerful Death Knight accompanying two ageless mages while they attempt to gather artifacts of extreme power to support the ageless war machine. Erdrig will be in the thick of it, tanking and busting heads of anyone that tries to get to the casters. 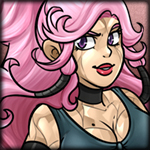 Miranda Ulrick is an ancient elven ageless researcher that is helping the ageless war effort by covertly traveling the land and retrieving any powerful artifacts she and her team find. She is the nominal leader of the ageless party, having seniority on both Erdrig and James. She is more a commander than a fighter herself, summoning hordes of ageless minions to do her bidding. Miranda's first turn will be the big one, using Grand Raven's Gift and then just spamming Summon Bone Army as much as possible. Basic Attacks deal 5 damage. James is an odd duck even for an ageless. Neither Erdrig nor Miranda know when exactly he joined the artifact retrieval division, but he has been nothing but useful so they can't complain. James is a melee fighting Fleshweaver, diving in and draining the fluids of any foe he can. His main goal is to keep enemies off of his precious and delicate flesh golem. James Flesh Golem is a monstrosity. Blood, Bone, Offal, and Organs held together through the powers of blood magic. 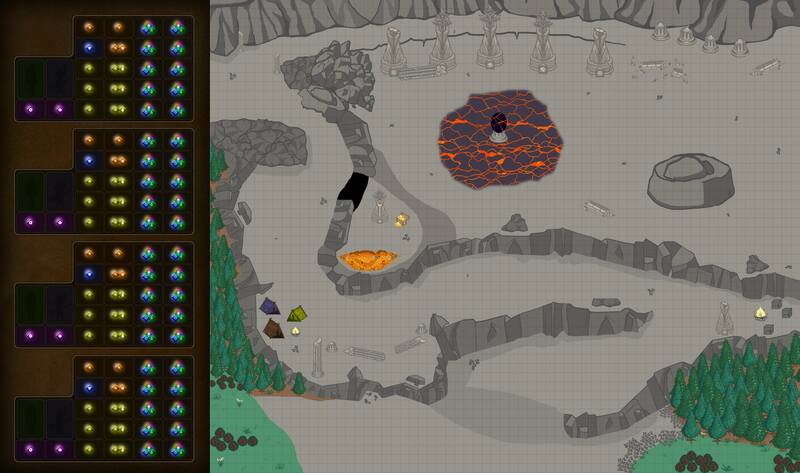 This massive monster is hidden behind the large boulder on the right side and will emerge when combat starts. This creature is built as an artiliary beast, it will stay back and spam Lotus Blasts and Call Majolnrs while avoiding direct combat. NOTE: This encounter only happens if the alarm runes on the plinth of the dragon egg have been activated and the players have not escaped within five turns of the runes activating. An enormous column of fire comes crashing down from the sky, incinerating anything in a 5x5 area. Once the column disappears a noticeably upset humanoid dragon is standing at the center. (Think transformed Quintara Lotus except only seven feet tall and red instead of purple.) This is Vallera, first daughter of Vlaurunga dragon aspect of fire. She will instantly kill anyone actively trying anything on the egg or that attacks her. If none of those things are happening, she will move to interrogate the nearest player, very hostile, asking who they are and why they are here. If a player reveals that that they were hired by Riveridge to investigate happenings she will noticeably deflate and simply become annoyed. She will reveal that this is her egg and that it is here to absorb the ambient fire magic from the surrounding areas along with the fact that she notified the nearby towns that she would be performing magical experiments atop the mountain. 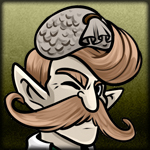 Vallera will grill any players trapped in the treasure cave. She will grow back to her original height for intimidation purposes. If the player tries to lie to her she will incinerate them. If they are completely truthful she may decide to simply let them go, press gang them into working for her for a time, or incinerate them if they have been disrespectful. 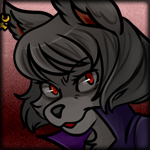 She will not incinerate anyone who has taken care of one of the animals from the second encounter. Vallera is the first born daughter of the Dragon Aspect Vlaurunga. A late bloomer, Vallera is very protective of her first egg, making sure to imbue it with as much fire magic as she possibly can. She has even gone so far as to set up ritual circles in less populated areas to draw in any ambient fire magic to channel it into the egg. Any Fire Magic. Or any Magic. Map created by the one and only Helicoly. Give 'em a hand, they did a fantastic job. How is the alarm spell on the egg activated? You touch the egg, touch the plinth, really anything that could damage or move the egg. Glad to see more cool campaigns shared! Also, to get images imbed, just click the image drop down menu and insert the imgur url. Thanks for the compliment on the campaign goose, I tried doing that but it didn't work when I used the imgur links I put in the post itself. @ShepardCom You have to make sure you add ".png" or ".jpeg" to the end so you link directly to the image itself, rather than the Imgur page that has the image. @MasterDJV ; alright looks like that works, thank you very much! Also gonna be using this map in an upcoming campaign and had the final encounter planned but some of these are super cool for minor encounters along the way! @Helicoly ; Your fantastic map was what inspired me to make the campaign, good luck to ya running your very own.